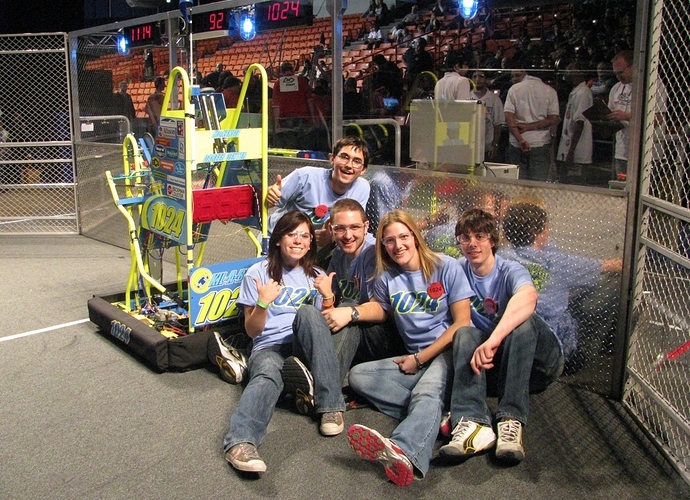 One of the FIRST photographers took this picture for us while at the Midwest regional. At the time this was taken, the opposing alliance had called a time out (for a reason I can’t remember). Our coach had the idea for us to all go sit out on the field with our robot, and our head scout had the idea to take a picture. 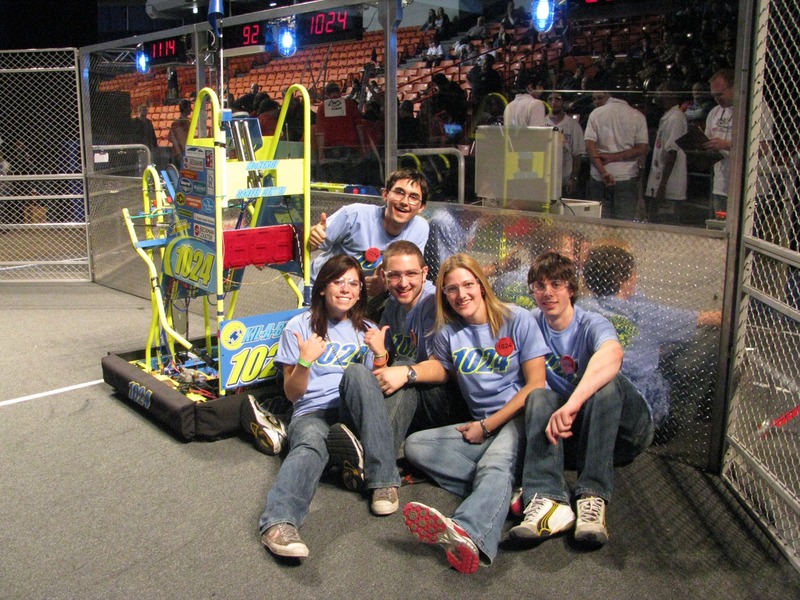 Front row, left to right: Allie R., Head Scout; Marc R., Driveteam Coach; Allison M., Functional Team Captain; Taylor C., Robot Operator. Thanks to our fantastic alliance partners (1114, 2041) and EVERYBODY at Midwest for making it a great FIRST time for our team in Chicago! I also love how the 24 in 1024 resembles Jeff Gordon’s car number :rolleyes: Not that I would notice a lil thing like that lol. But that picture is pretty nice! Thanks! It’s my favorite photo we have of our team this year yet… sadly, everyone in this picture (including RALFF) is graduating this year. Do you (whoever you are that might read this) ever sit on the field with your team during a nothing-going-on-period? It’s pretty awesome to see what the robots see. Really nice senior pic Kil-a-bytes ! FIRST Should give teams time on the field for such photo ops.